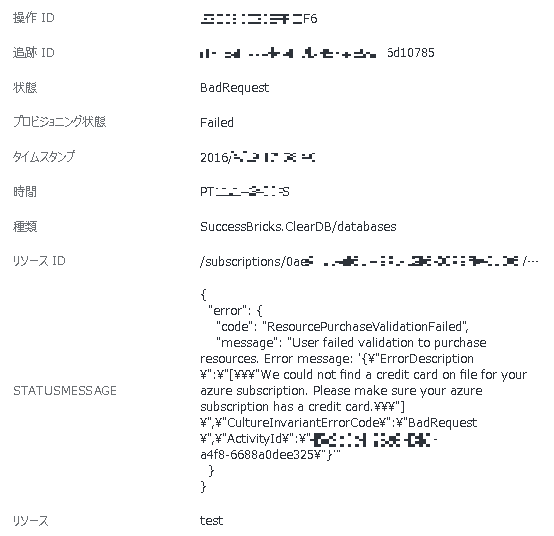 メッセージ：User failed validation to purchase resources. 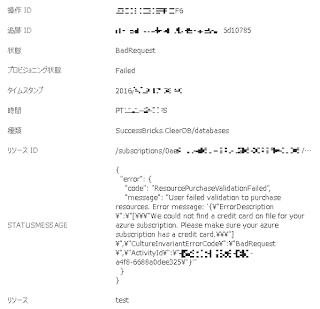 エラー概要：We could not find a credit card on file for your azure subscription. Please make sure your azure subscription has a credit card.